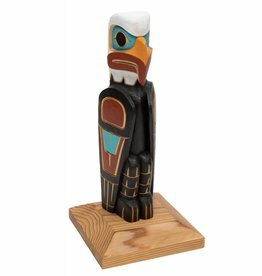 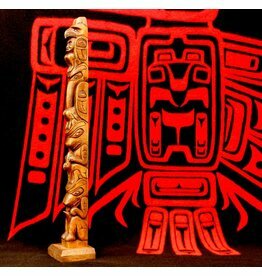 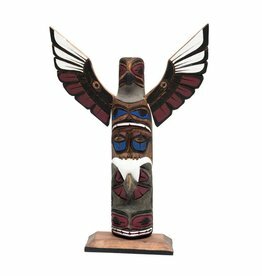 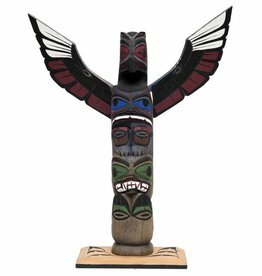 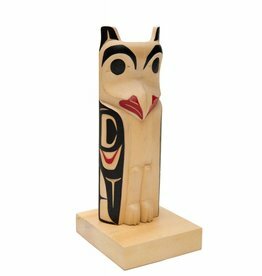 Small owl totem pole by James Tait (Nisga). 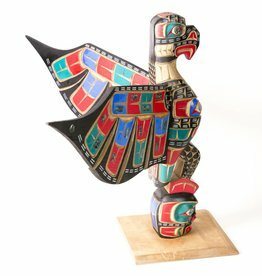 Eagle Pole by Cody Mathias (Squamish). 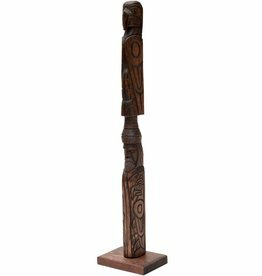 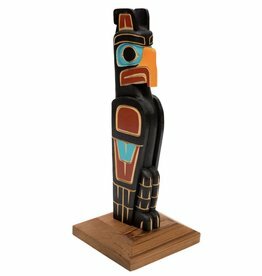 Model Totem Pole by David Louis Jr.